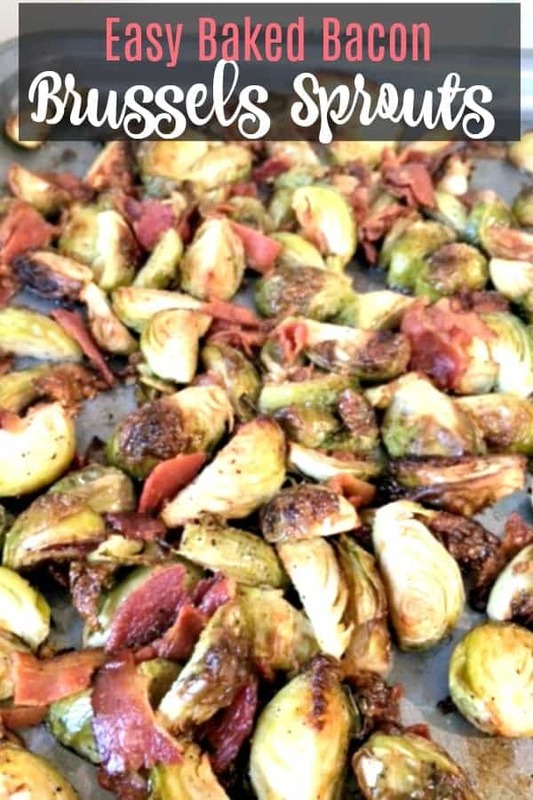 This Brussels Sprouts with Bacon recipe is perfect for your fall celebrations! 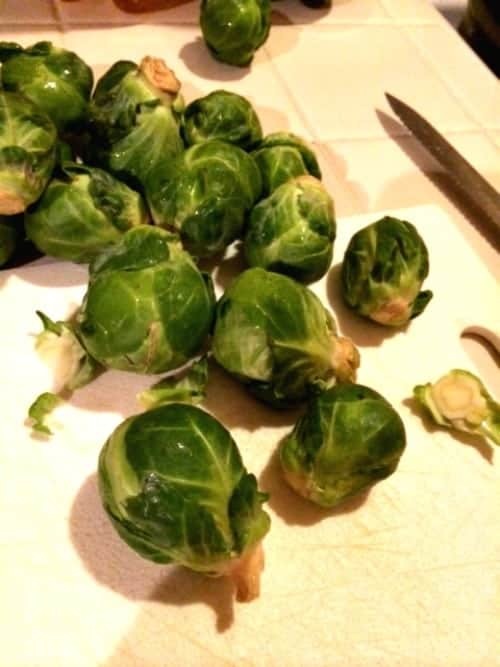 Back in the day, Brussels sprouts were usually boiled and not very exciting. 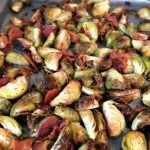 Nowadays, I have found many restaurants offering elevated versions of the dish and let me tell you, they can be a great updated side dish for your holiday celebrations (or even your casual dinners). The most work intensive part about cooking Brussels sprouts is cleaning them, and it really is not too hard. You can buy Brussels spouts on the stalk, but in most grocery stores, they are sold without the stalk. Rinsing them in cold water and removing some of the outer leaves will help to clean them for cooking. 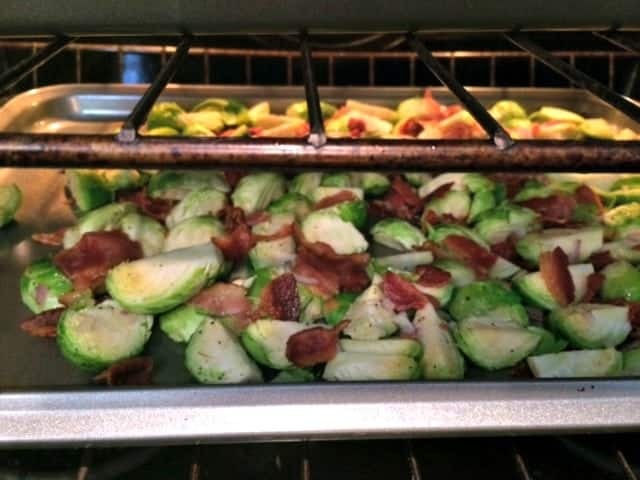 They get a nice roasted flavor when you bake them in the oven with the bacon. These are great for your dinner side dish rotation or a special fall dinner. I would suggest trying this, especially if you have not had Brussels Sprouts in a few years. Lightly grease a cookie sheet with olive oil. Peeling off 2 to 3 of the dark outer leaves on the Brussels Sprouts; trim stem ends. Place Brussels sprouts olive oil, salt, and pepper in a reusable plastic bag. Place marinated Brussels sprouts onto the greased baking sheet. Roast in oven oven 25 minutes, turning over sprouts halfway through for even cooking. You can also spritz with a little balsamic vinegar before serving for added flavor. 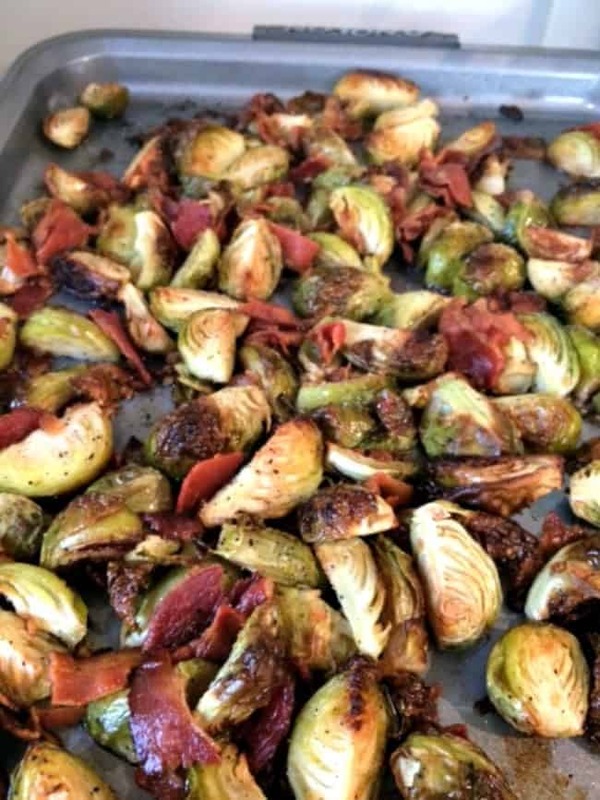 Prepare Brussels sprouts ahead of time. 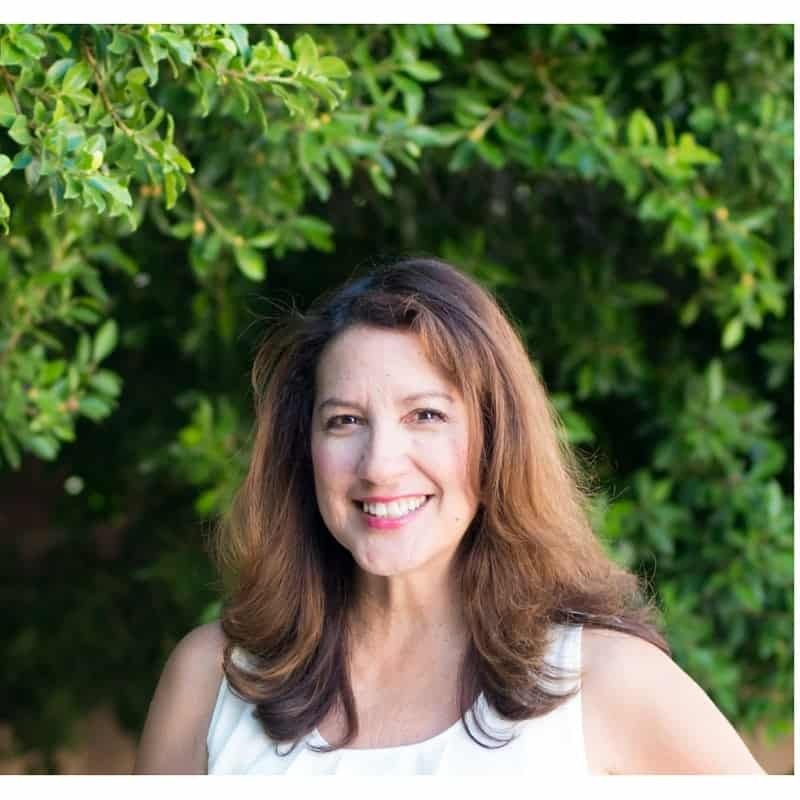 You can store them in the crisper drawer of the refrigerator for about 1 – 1/2 weeks. We hope you enjoyed this quick and easy recipe. 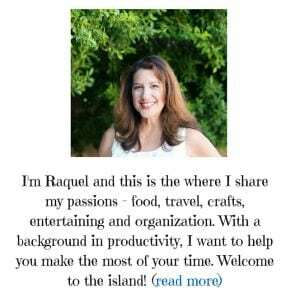 If you enjoyed this recipe, please consider sharing. We would love it if you did! For another great celebration side dish, try our Sweet Baked Butternut Squash. They look so good! I love them roasted or baked and bacon is amazing with them. I’m going to have Cassidy try this out because he’s the king of making Brussels sprouts. Sounds delicious! Pinned the recipe for this weekend. I have to admit that when I was younger my mom tried giving me brussel sprouts and I hated it. But now that I’m older, it’s grown on me and it has to be served with bacon 🙂 Thanks for sharing your recipe on Merry Monday.